Finishes I truly love are layered, and a bit imperfect. but see how nice they look next to each other? A while back I showed you a bunch of small baskets I picked up at an estate sale. I gave it layers of grey, and watered down white gesso. Again, lots of playing around, wiping back, letting it settle, etc. It's basically my "Old World" finish, with a little tweaking. 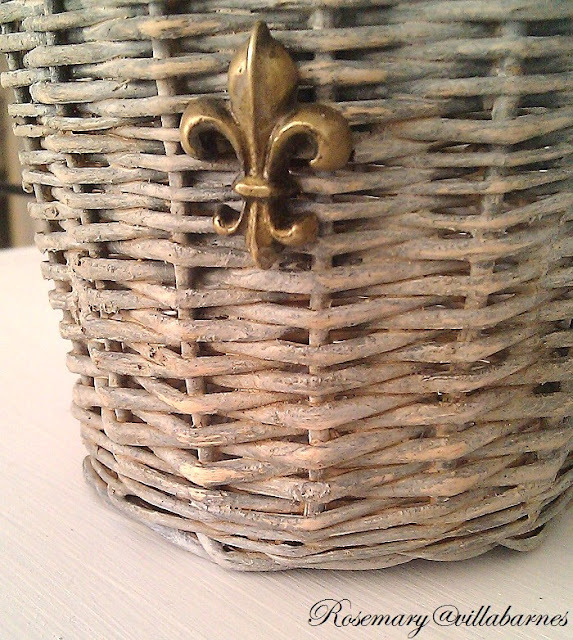 I added one of my fleur-de-lis. If you look close, you can see remnants of fabric. That's because, at one point I had fabric glued to it. When I took it off, I decided to leave a hint of it. Imperfections, remember. I have more baskets, frames, boxes, etc., to get at. I'll share. See ya soon. 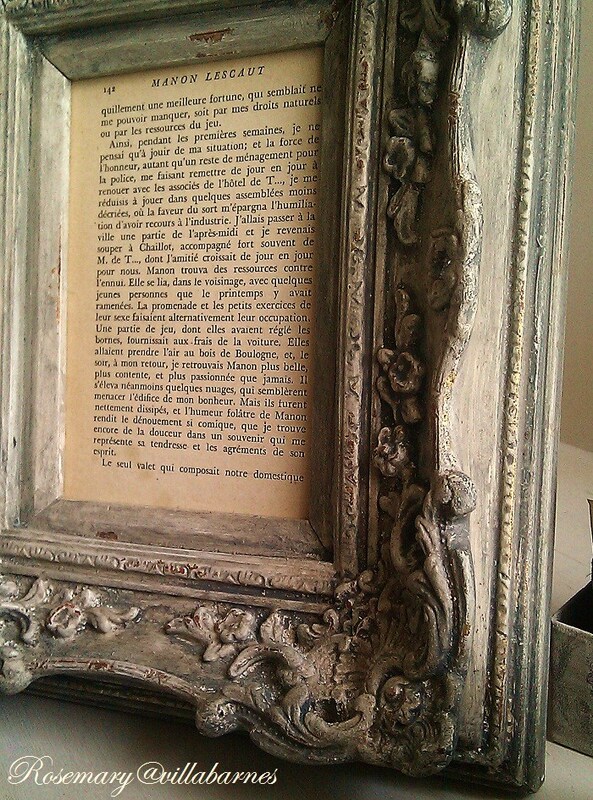 Another gorgeous frame, Rosemary! You find some great ones. I love all of your gorgeous finishes, Rosemary! I so agree, a little imperfection makes things so much more interesting! Th blue and gray frame is one of my favorites! You're the "Finish Queen"! 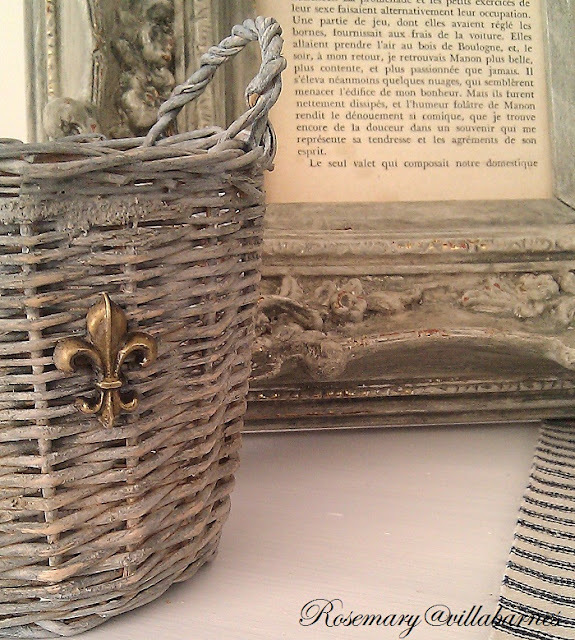 I can't believe those modern looking baskets became such vintage, antique-looking baskets! Lovely as usual. Love the blue finish. We went to three estate sales in the pouring rain Sat. and had the best time. 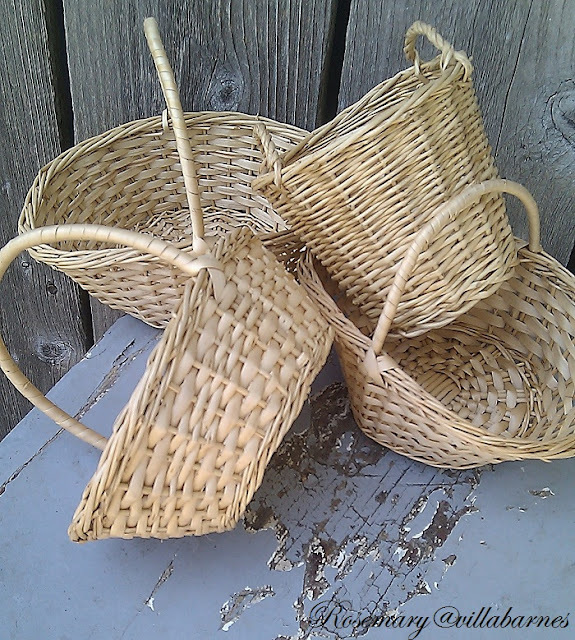 I love those baskets Rosemary! They look like the type you'd pay a lot of $$$ for on some websites. Your creative mind never stops! 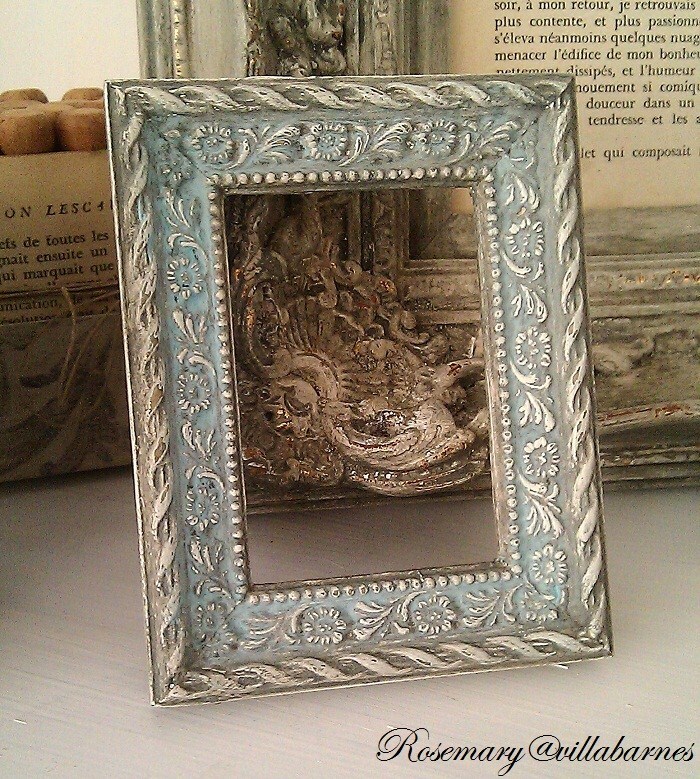 The blue,gray and white frame is leaving me speechless!! I love it. Is the white gesso?? I have looked at your photo so many times I have lost count. You are the master in incredible finishes!! I sure wish I could come and learn from you... lovely hon, just beautiful! I can't wait to see what else you share, it makes my day when I see a post from you! Beautiful! I LOVE the first one with the hint of blue...gorgeous. You layer paints best of all. You have the most unique finishes. Always beautiful over here at your place. Wow...is that the same basket?...looks terrific!...and I love the touch of blue in the frame! 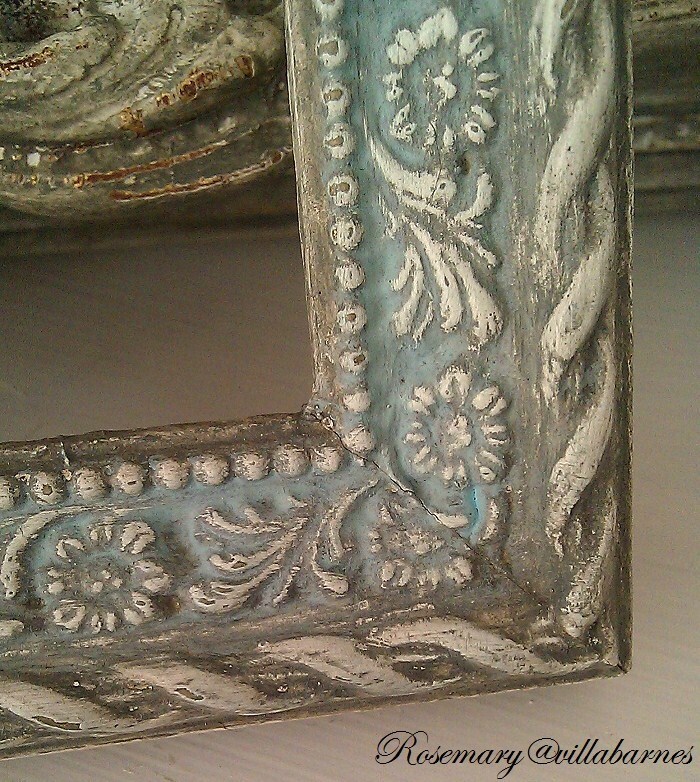 Love the finish that you are putting on your frames, Rosemary. They are gorgeous! 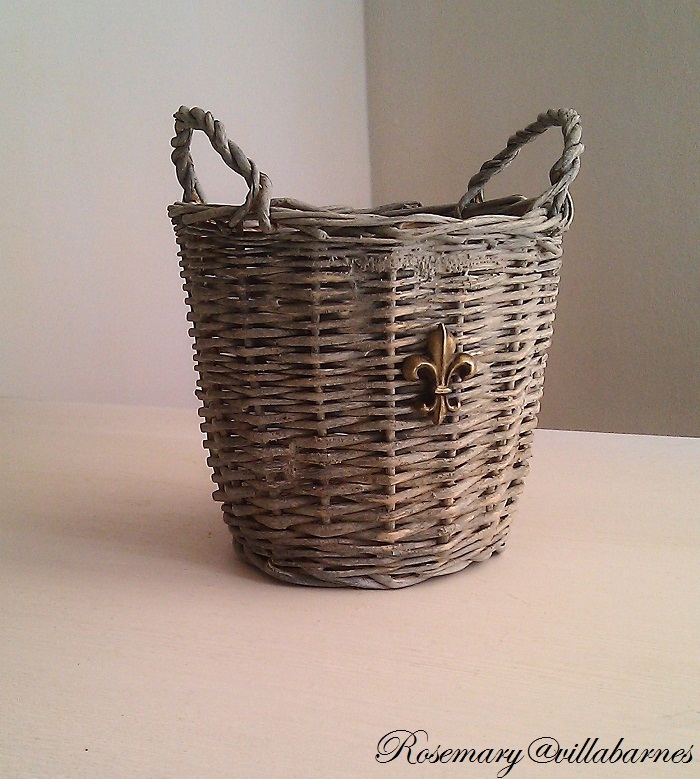 Love those basket transformations! Pretty amazing. The frame is beautiful. all looks great, as always. love the little bit of blue on frame. 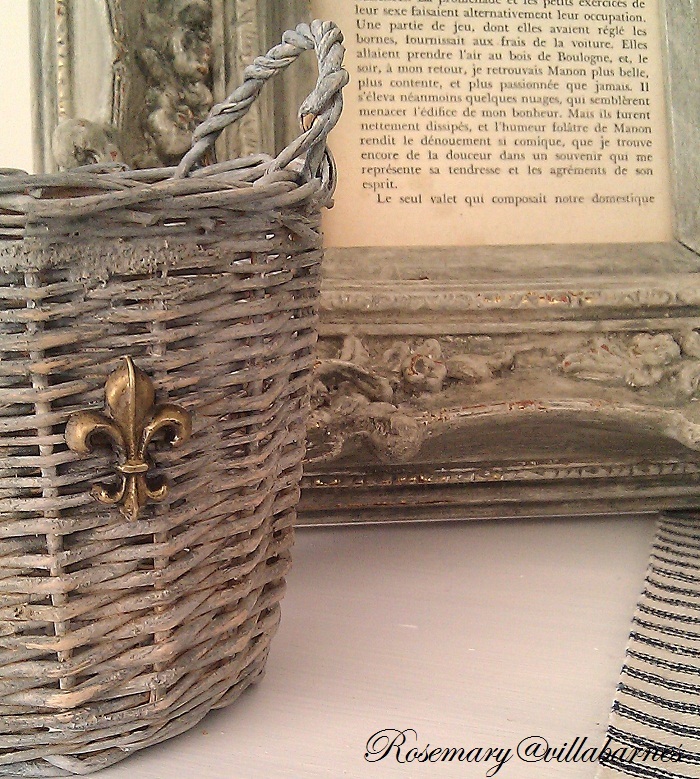 Rosemary I love your layering techniques that you use.That frame is so beautiful and so are those baskets! I will have to be more open minded next time I see those baskets!A new technique to try! I love the imperfections, too. I always love your painting techniques, and the frame and basket are true to your style. Love it! Love the finishes you gave these items. They look so much better! Gorgeous layering. The frame is just beautiful! Love the way you layer the colors to get texture!